Hopefully everyone thoroughly enjoyed their February and the introductory weekend to March known as Bockfest around these parts. We will be back in the biergarten of the Moerlein Lager House tomorrow for our monthly URBANexchange event. Last month’s giveaway was a big hit, so we’re going to do it again this month. 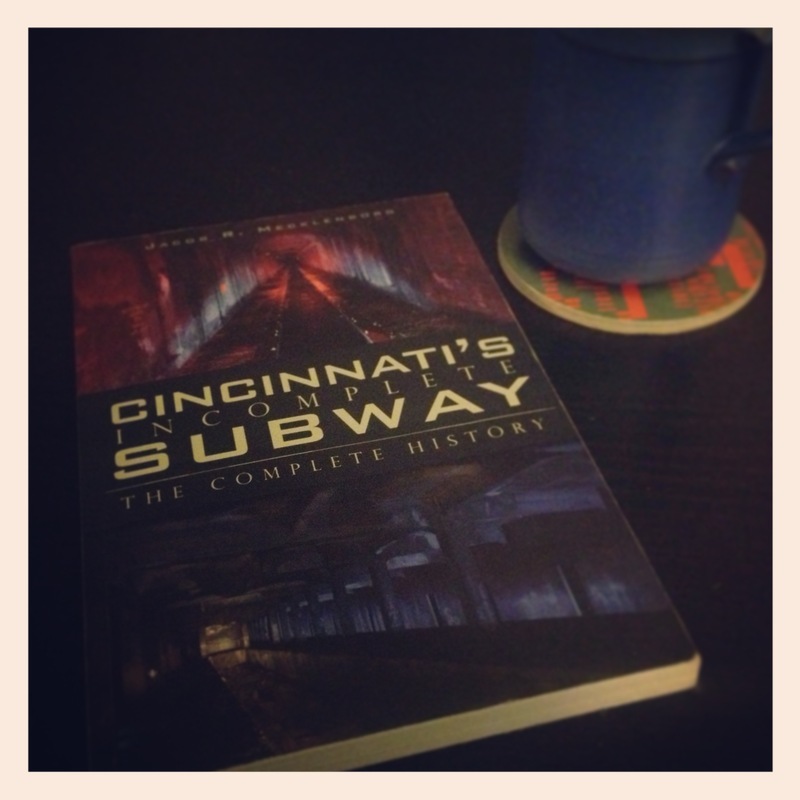 This time we will be giving away two signed copies of Jake Mecklenborg’s book about Cincinnati’s abandoned subway. Jake will even be in attendance to talk about the book and his findings. If you did not have a chance to participate in the Bockfest activities over the weekend, then this will be a great opportunity for you to try out the Lager House’s selection of bock beers. As always, the event will take place from 5:30pm to 8:30pm, and we will gather in the northwestern most corner of the biergarten. If you are nervous about picking us out from the crowd, simply inform the employees at the front desk that you are there for URBANexchange, and they will direct you to the correct location. The event is a casual atmosphere and is free and open to the public, so feel free to bring a friend. Those who decide to attend can come and go anytime during the scheduled event hours, but we do encourage you to come hungry and thirsty to support our kind hosts at the Moerlein Lager House (map) and Smale Riverfront Park. It should be a great time to talk about city issues with all sorts of big news happening over the past month. The city’s proposed parking modernization and lease plan, Wasson Corridor, city budget, proposed 30-story residential tower, Bartlett Building hotel conversion, MLK Interchange, casino opening, and the efforts to accelerate both the Cincinnati Streetcar and Oasis Line rail projects. If you are on Facebook, then you can connect with others attending the event by RSVPing for the March URBANexchange. See you there! Previous articleWill $25M cash payout from Big East fast-track Nippert Stadium renovation?